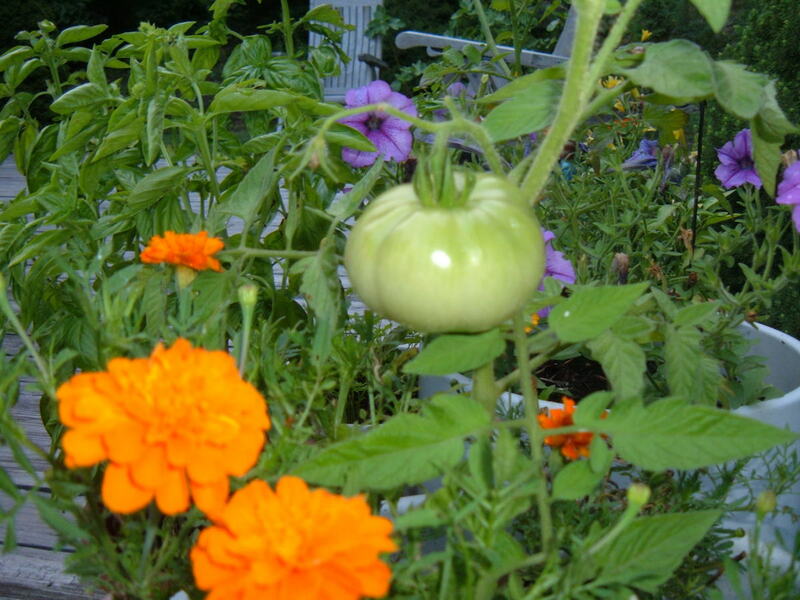 Companion planting is an organic gardening method that saves time, effort and money. There are certain plants that grow well in a natural environment when they are near other certain plants. When planted near to each other they do much of the work for you that you would otherwise have to tend to. We actually create a situation that requires the need for pesticide and herbicide when we separate plants into individual areas. There is a natural harmony that exist within the ecosystem such as with plants growing wild in the forests and wooded lots. They are self-sufficient without the need for intervention to thrive. Attract bees and ladybugs that are beneficials using plants such as cilantro and parsley. Provide and affix nutrients into the soil. Influence the types of micro-organisms that grow in the soil. Supply shade and protection from strong winds. Repel harmful insects such as striped beetles, moths and ants. 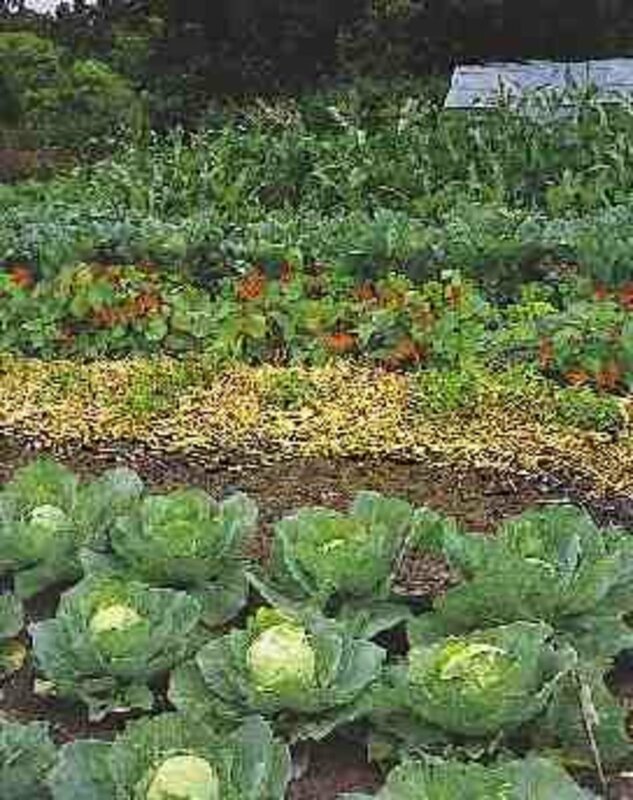 Take in a lot of nutrients from the soil without replenishing them. Cross-pollinate with plants that are from the same or similar type, such as dill and fennel. Attract certain pests that damage other nearby plants. Shade smaller plants that need the sunlight. Re-seed and grow volunteer plants of the same. Expand in their area crowding out other nearby plants such as with mint. Following the companion planting method is a good place to begin planning the design of your garden on paper. It can serve as a guide that shows where to position your flowers and vegetables. This technique may not work very well if you generally plant using the row method, however, you may decide to be more strategic in choosing what vegetables and flowers to plant in the rows that are next to each other. 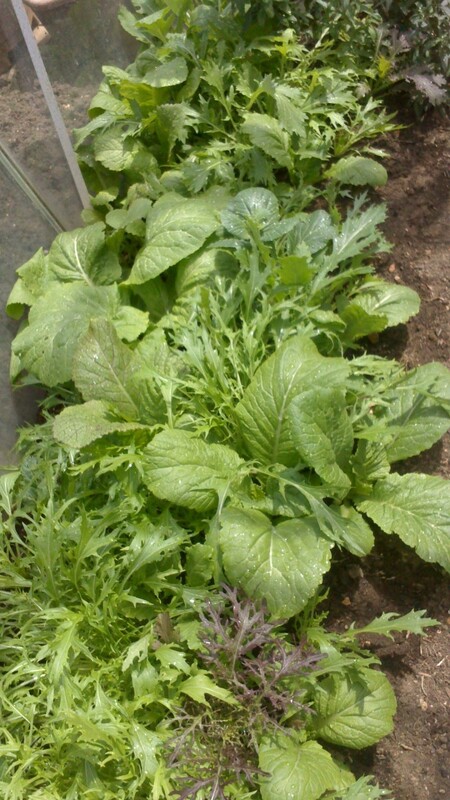 The fragrances of flowers and herbs among the vegetables confuse and deter pests from finding them. Although organic or home made pesticides may be needed on occasion, try to avoid their use as much as possible. 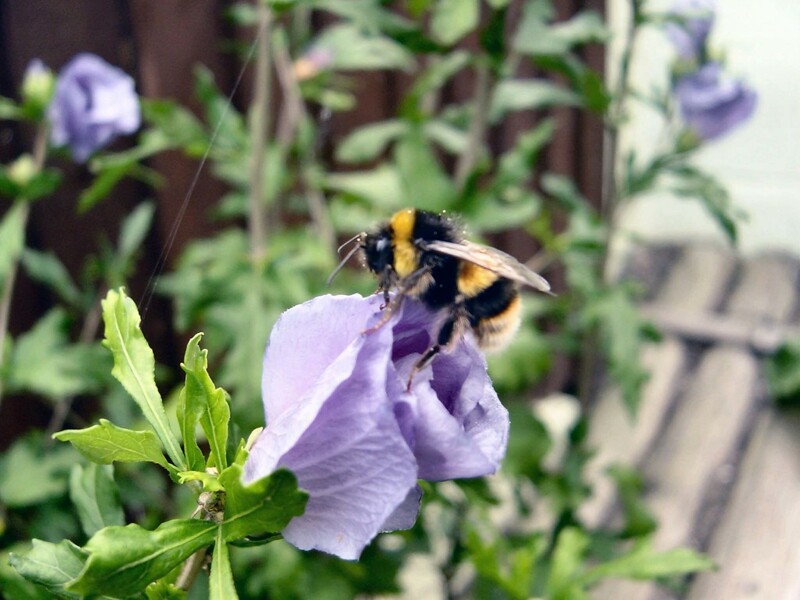 The residue may be toxic to bees, butterflies and other beneficials and cause an imbalance in the ecosystem. Marigolds of the French and African varieties contain a substance which is toxic to certain types of nematodes. Roundworms are microscopic nematodes that inhabit the soil and damage many species of plants. They also keep other types of pests to a minimum such as the vine borer and cucumber beetle. Grow marigold plants in with other plants such as tomatoes and freely throughout the garden except near beans and cabbage. Which bugs help and which bugs harm? Learn to recognize which of the insects in your garden are beneficial so that you can allow them to thrive. Some insects are helpers in that they eat the pests that will injure the plants. In order to keep the pests from overtaking your plants, you need to be able to distinguish them apart from the beneficials. Plant selection and placement will create a harmonious environment that does much of this work for you. The pest populations will be kept to a minimum throughout the growing season greatly reducing the need to apply insecticide. There are many plants that can be started before April. This link is a guide to starting your plants from seed indoors. The following is a description of the effects of certain plants with suggestions offering ideas on how to place them in your garden. This involves the companion planting method to create a balance in the garden that harmonizes below and above the soil. Basil - Repels aphids, mites, mosquitoes and flies and acts as a fungicide. Plant with tomatoes not only to protect them but basil improves their growth and flavor. Also with asparagus. Basil has a distinct and wonderful aroma. It is added to many dishes, and is pureed into pesto with oil, garlic, onion, nuts and Parmesan. Top spaghetti with basil pesto as a sauce and bread for sandwiches as a spread. Beans are compatible with most plants and affix nitrogen in the soil. Keep separate from all types of onion, garlic and beets. Beets go well with lettuce, onions, garlic, brassicas (cabbage and broccoli family) and mint. Beets add minerals to the soil but separate from beans. Buckwheat grows quickly keeping weeds down. It attracts bees and hover-flies. Cabbage does well near beets, onion, spinach, chard, celery, chamomile. Rosemary repels the cabbage fly. Avoid near strawberries, tomato, pole beans and dill. Caraway loosens dense compacted soil and attracts beneficials. Carrots with peas, lettuce, onion, sage and tomato do well. Avoid near dill because they will cross pollinate. Celery does well with nasturtium, cabbage, onion, leeks and tomato. Chives are a good companion with carrots. Cilantro repels aphids, spider mites and potato beetles. The seed of cilantro is coriander. Corn is one of the three sisters as the Indians taught. Corn encircled by beans that climb up the stalk as well as add nitrogen to the soil, then the beans encircled by squash or pumpkin to keep down the weeds. Corn also grows well near cucumber, peas and sunflower. Keep separate from tomato and celery. Cucumber is good with beans, cabbage, carrot, corn, peas, marigold, nasturtium, sunflower, and radish. Avoid near potato and sage. Daisy attracts the good insects. Dill controls squash bugs but don't have carrots near dill. Fennel should be planted in an area by itself so that it will attract good insects while not inhibiting the growth of the other plants. 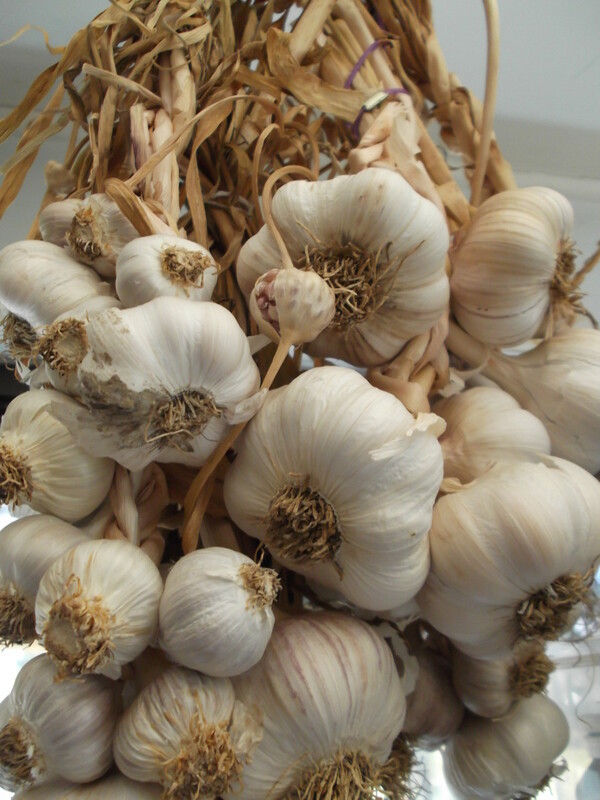 Garlic can be planted liberally throughout the garden and helps roses and raspberries. Also helps cabbage, tomato and eggplant. Avoid near beans and peas. Garlic deters the Japanese beetle. Lavender deters moths, aphids and fleas. Lavender can become invasive. Leeks grow well with celery and carrots and enhances their flavors. Lemon Balm attracts bees, however, it can become invasive. Lettuce is compatible with beans, carrot, cucumber, radish and strawberry. It doesn't do well with cabbage, celery, parsley and water cress. Marigold goes well with most all plants and repels beetles, nematodes and other insects. Mint with cabbage and tomatoes. Deters the cabbage moth. Nasturtium controls squash bugs, cucumber beetle, aphids and the whitefly that can blight green-bean plants. The flowers of nasturtium are edible in salads having a mild radish-like flavor. Okra with marigolds, eggplant and pepper. Onion does well with lettuce, cabbage, beet, carrots, strawberries, tomato and summer savory. Keep onion separate from beans, peas, parsley and sage. Pepper with basil, carrots, marigold, cilantro, onion, peas, marjoram and tansy. Separate from potato, bean, cabbage and kale. Although tomatoes are a helper plant for peppers, the pepper may attract tomato horn worms. Potatoes near flax and horseradish that is contained in bottomless pots placed on each corner. Keep apart from carrot, cucumber, tomato, squash and sunflower. Radish does well as a repellent near most all plants. Sage near rosemary, carrots, cabbage and beans. Spinach with peas and beans. These three affix nitrogen in the soil, but spinach uses it as well. Squash and Pumpkin go well with tansy, buckwheat and radish. Nasturtium and petunias repel squash bugs. Sunflower near beans and cucumbers. Beware of squirrels as they like sunflower, corn and bean seeds. Thyme with cabbage to deter the cabbage worm. Tomatoes do well with onion, marigold, basil, mint and asparagus. 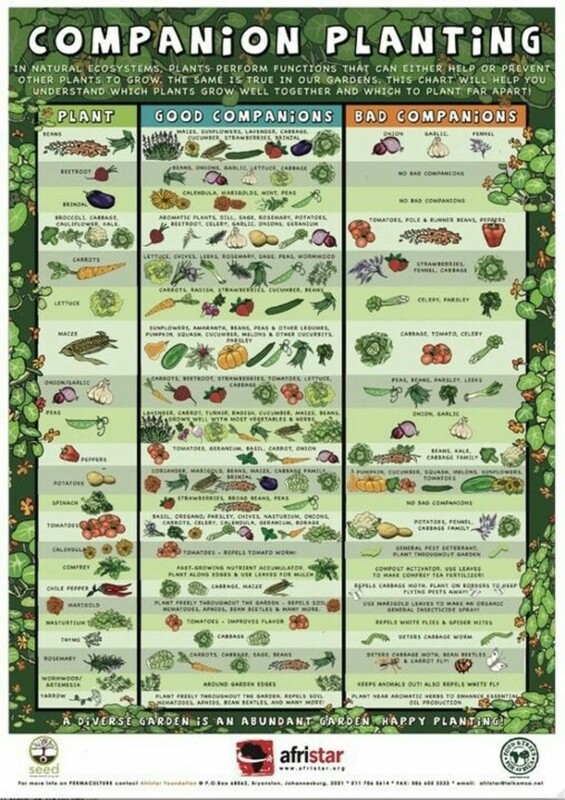 Use this companion planting list as a guide to position your vegetables and herbs in the garden. Having all the plants are not necessary, choose the ones you are interested in and decide how best to place them in your garden. Be sure to allow enough growing space for each one as they require a certain amount of soil nutrients. Also, position the vegetables that need watered more often, such as tomatoes and peppers, closer to your watering system or hose. Thank you, Remembering the groups as families is a good idea. helpful. I have done some research on these and have come up with some "families." Like the tomato family (basil, cilantro, chives, onions, tomato, marigolds) then there is the corn family ( beans, squash, pumpkins, amaranth, etc.) Good hub.